When you hear ‘Banjarmasin’, you would automatically think of Pasar Terapung or floating market. It is not surprising, since Banjarmasin has been dubbed as ‘Kota Seribu Sungai’ or a city with a thousand rivers. Banjarmasin is the capital city of South Kalimantan. It is located on a delta island near the junction of the Barito and Martapura rivers. The metropolitan area, known as Banjar Bakula, consists of the cities of Banjarmasin and Banjarbaru, and the regencies of Banjar, Barito Kuala, and Tanah Laut in South Kalimantan. No need to go to Thailand if you want to feel the sensation of doing buying-and-selling transactions on a wooden boat. 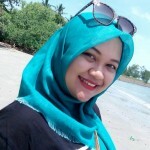 You can do this activity at Banjarmasin. The most popular floating market in Banjarmasin is the one located in the estuary of Barito river, at Kuin Utara village, Banjarmasin. 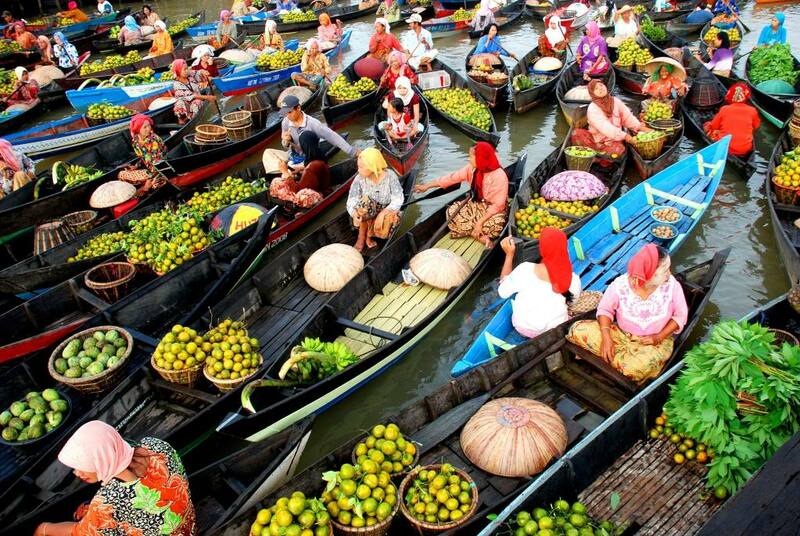 It is predicted that this floating market has been operating since 400 years ago! The unique thing about Pasar Terapung is that the seller usually hands the stuff to buyers using a long stick with wire hook, as sometimes it is difficult to reach the buyer’s boat. 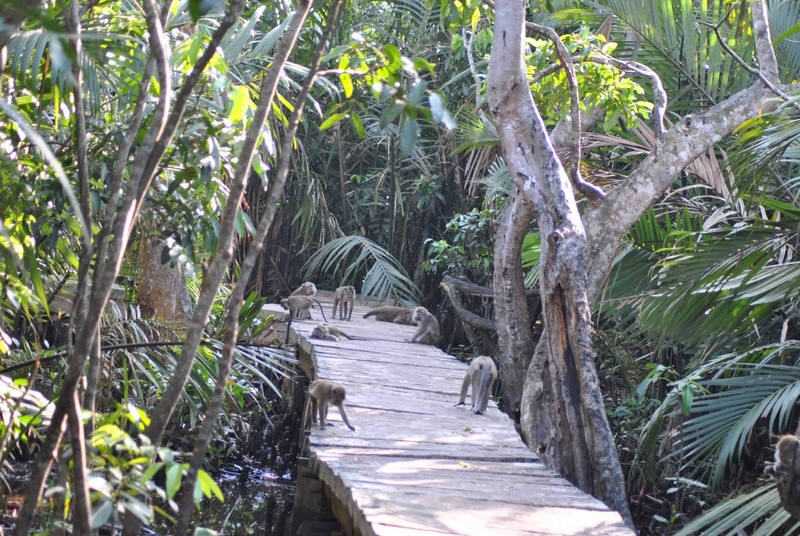 Pulau Kembang is an island in the middle of Barito River. 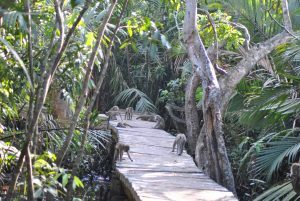 The island is a habitat for apes and few species of birds. While in this island, the visitors need to be careful with their belonging. Sometimes the monkeys jump on the bag (or even our shoulders!) because they are curious about what we bring. It is better if you bring some snack or fruits to distract their attention. The diamond market is located in Jalan Ahmad Yani, Martapura, around 45km from the Banjarmasin city center. Martapura has been famous as the biggest diamond producer in Indonesia. 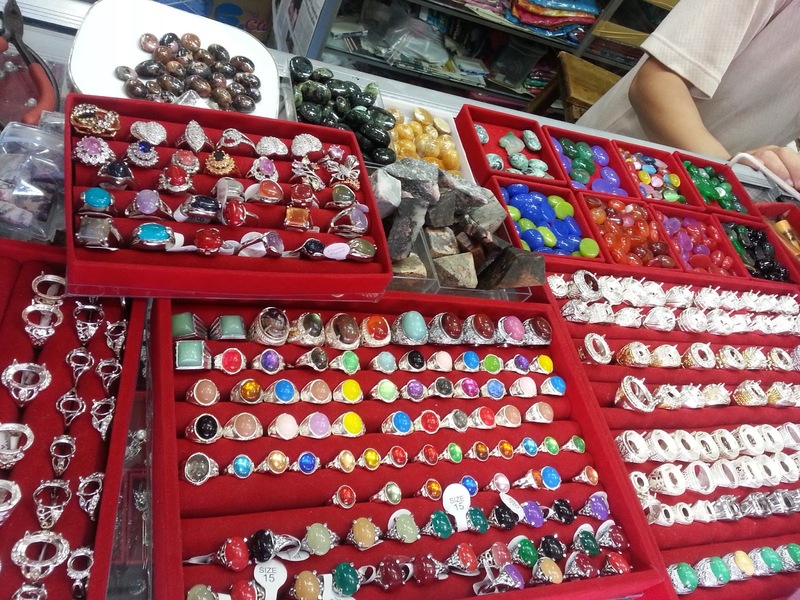 In Pasar Intan Martapura, you can get diamond in the form of rings, bracelets, brooch, pendant, even in the form of whole, unformed stone! The price ranges from Rp20.000 to hundreds of million rupiah, depends on the model. Do you love to collect traditional fabrics from Indonesia? If yes, then you must not miss Kampung Sasirangan at Banjarmasin. 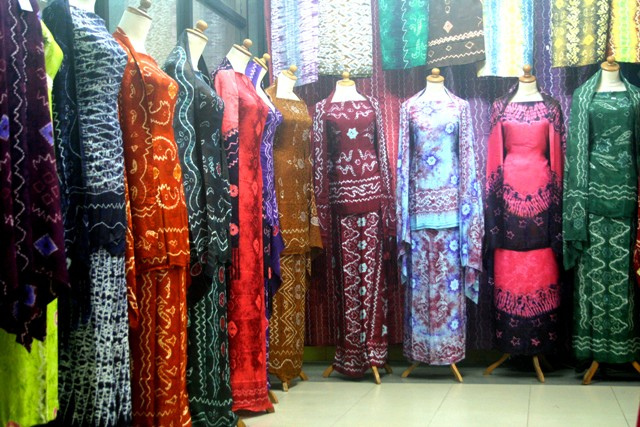 Here you can find various, colorful Sasirangan fabrics as well as learning the making process. Located at Jalan Seberang Masjid, Kampung Melayu, Banjarmasin, Kampung Sasirangan offers a wide range of fabrics, either in untailored form as well as in the form of clothes, shawl, bed sheets, and tablecloth. There are also accessories made with Sasirangan like bags, purses, and handkerchiefs. 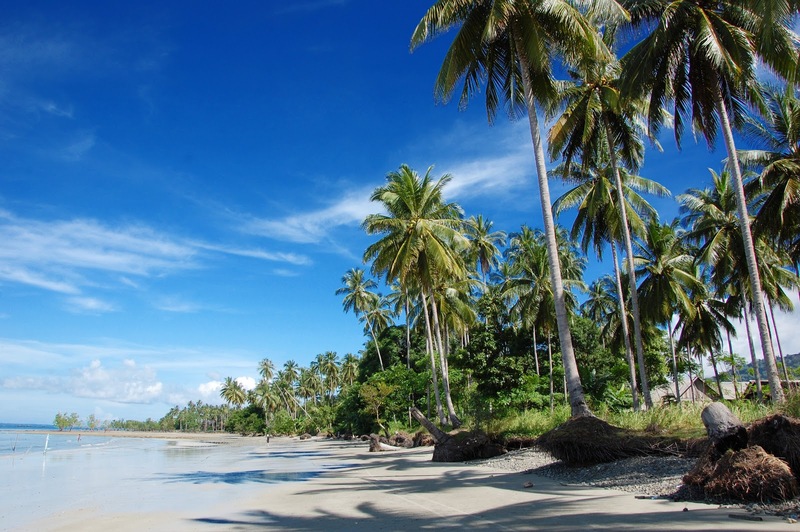 Pantai Gedambaan is located around 14km north from the city center of Kotabaru, South Kalimantan. The beach is a nice choice if you want to enjoy a nice beach breeze and calming sound of sea waves. Pantai Gedambaan is a tourist attraction with cottage, restaurants, and shelters for visitors. If you don’t like the crowd, you can move to the beach next to it. 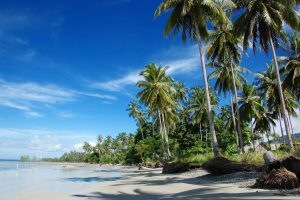 The unnamed beach is more ‘natural’, with lush trees at the beach where you can sit and enjoy the scenery. Have you been in South Kalimantan and visited these places? Share your experiences with us!